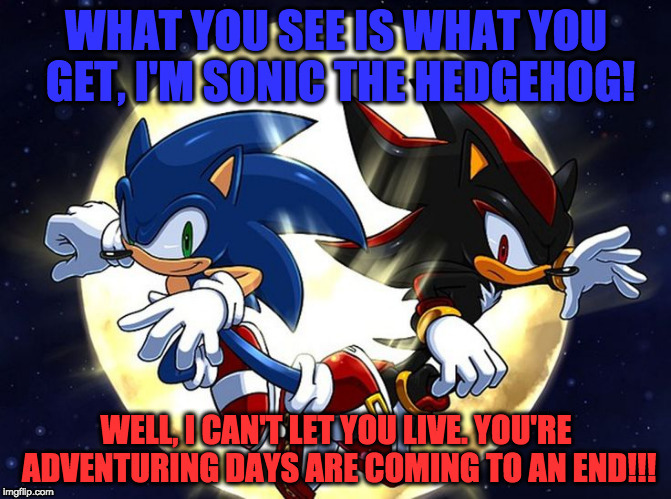 WHAT YOU SEE IS WHAT YOU GET, I'M SONIC THE HEDGEHOG! WELL, I CAN'T LET YOU LIVE. YOU'RE ADVENTURING DAYS ARE COMING TO AN END!! !